BSN Translation is a company that provides translations from English and Italian into Swedish. Thanks to cooperation with other translators, I can also offer translations from Serbian, Croatian and Bosnian into Swedish as well as from German and Swedish into English. BSN Translation provides translations of both specialist texts and literary texts. 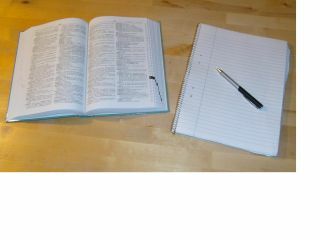 Besides texts of a general nature, I also translate texts within my specialty area, law and finance. My name is Björn Svensson, and I am a professional translator. I live in <?xml:namespace prefix = st1 ns = "urn:schemas-microsoft-com:office:smarttags" />Sweden and I am a native Swedish speaker. I hold a bachelor’s degree in the Italian language and a law degree. I supplemented my law degree with an extra half year in order to receive a master’s degree with specialization in maritime law. All courses in the master’s program were held in English. I therefore also have particular expertise in maritime law. I am a member of SFÖ, the Swedish Association of Professional Translators. BSN Translation is registered for taxation purposes in Sweden (F-skattsedel).